ASKAP surveys are designed to map the structure and evolution of the Universe by observing galaxies and the hydrogen gas that they contain. ASKAP’s extremely large field of view is what makes it a uniquely powerful survey instrument. The telescope uses new technology developed by CSIRO - a kind of “radio camera”, known as a phased array feed (PAF) that sits at the focus of each of its antennas. We are currently commissioning the telescope and running Early Science observations using up to 16 of ASKAP's 36 antennas. To demonstrate ASKAP's emerging capability as more antennas come on-line, the GASKAP Survey Science Team recently produced this image of the Small Magellanic Cloud, It shows us the tangled web of gas that makes up our neighbouring galaxy and it reveals the galaxy’s vibrant history, including streams of gas reeled in by the gravitational pull of the Milky Way and billowing voids generated by massive stars that exploded millions of years ago. The new image shows that the Small Magellanic Cloud has had “a very dynamic past”, according to Professor McClure-Griffiths from the ANU Research School of Astronomy and Astrophysics, who jointly led the work with Professor John Dickey of the University of Tasmania. What’s amazing about this image is that it was made in one shot with the ‘wide-angle’ camera of ASKAP. To do this with traditional technology we had to point the telescope in 1,344 different places across the face of the Galaxy and that project required five observing runs over 15 months. By contrast, to make the new image, ASKAP took just three nights . Data from CSIRO’s Parkes radio-telescope was added to pick up the faint diffuse emission which is essential for understanding the Galaxy as a whole. This new image is a demonstration of how astronomers will be able to use ASKAP's new technology to map the Universe and improve our understanding of how the Universe works. ASKAP Early Science is a program of observations designed to explore new scientific parameters with ASKAP before the construction of the array is complete, and also to produce scientifically useful data. 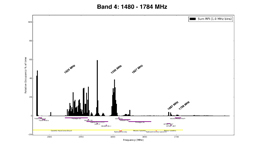 Early science observations have been carried out in parallel with the deployment of the Mk II phased array feeds on ASKAP and the commissioning of the digital processing systems. During ASKAP’s first five years of operation at least 75% of its time will be used for large Survey Science Projects, each needing more than 1,500 hours to complete and all designed to make use of the telescope’s unique capabilities. Ten major Survey Science Projects, representing 363 investigators from 131 institutions were selected in 2009 by an international panel, with the decision based on scientific merit and operational feasibility. A brief outline of all ten ASKAP Survey Science Projects is given below. 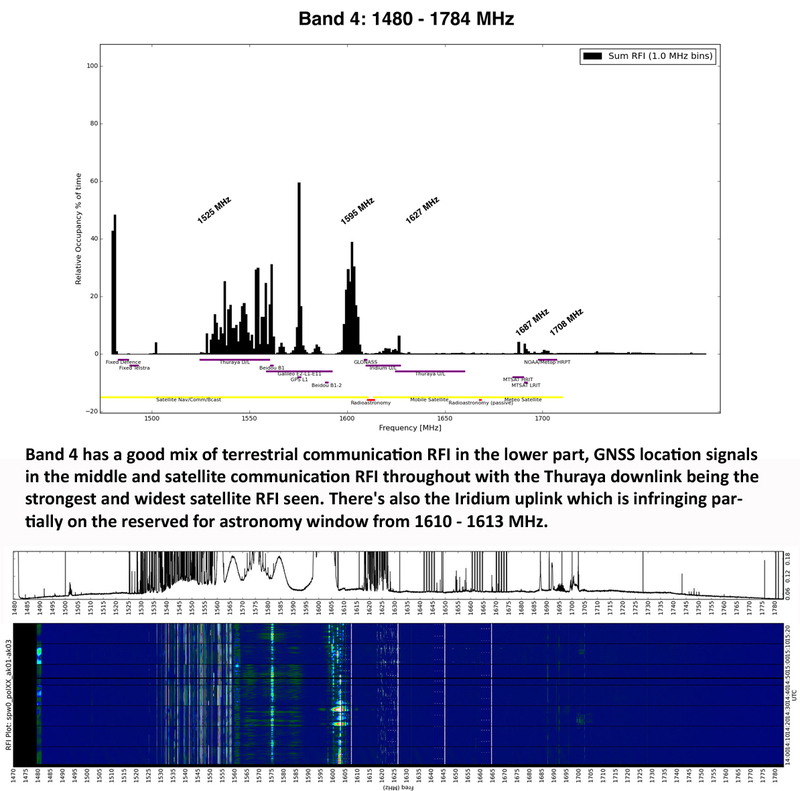 EMU is a deep (10 μJy/beam rms) radio continuum survey of 75% of the entire sky. EMU will probe typical star forming galaxies to redshift 1, powerful starbursts to even greater redshifts, Active Galactic Nuclei to the edge of the Universe, as well as undoubtedly discovering new classes of rare objects. The key science goals for EMU are to trace the evolution of star forming galaxies and massive black holes throughout the history of the Universe and to explore large-scale structure. EMU will create the most sensitive wide-field atlas yet made, and provide a long-lasting legacy survey. Visit the EMU website. WALLABY is an extragalactic neutral hydrogen survey over 75% of the entire sky and will detect up to 500,000 galaxies to a redshift of 0.26. The fundamental aims of WALLABY are to examine the HI properties and large-scale distribution of these galaxies in order to study galaxy formation and the missing satellite problem in the Local Group, evolution and star formation of galaxies, the role of mergers and galaxy interactions, the HI mass function and its variation with galaxy density, the physical processes governing the distribution and evolution of cool gas at low redshift, cosmological parameters relating to gas-rich galaxies and the nature of the cosmic web. WALLABY will provide the largest, most homogeneous HI sample of galaxies yet made, and will be an important pathfinder for key SKA science. Visit the WALLABY website. 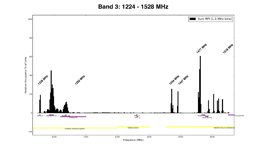 FLASH is a blind HI absorption-line survey that uses background radio continuum sources to identify and characterise foreground neutral hydrogen. FLASH science outcomes are focused on both the neutral gas content of galaxies and the cosmic HI mass density in the redshift range 0.5 < z < 1.0 where the HI emission line is too weak to be detectable in individual galaxies. The observations will increase the total number of absorption line systems by an estimated two orders of magnitude, representing a significant data set to study gas assembly and galaxy formation during a time in the history of the Universe that is largely unstudied thus far. Visit the FLASH website. VAST gives unprecedented opportunities to investigate the sky at radio wavelengths for transients with a timescale as short as 5 seconds. ASKAP’s wide-field survey capabilities will enable the discovery and investigation of variable and transient phenomena from the local to the cosmological including flare stars, intermittent pulsars, X-ray binaries, magnetars, extreme scattering events, intra-day variables, radio supernovae and the orphan afterglows of gamma-ray bursts. VAST will probe unexplored regions of phase space where new classes of transient sources may be detected. Visit the VAST website. GASKAP is a high spectral resolution survey of the HI and OH lines in the Milky Way and Magellanic Systems. Compared with existing data, GASKAP will achieve about an order of magnitude improvement in both brightness sensitivity and in angular resolution. GASKAP will detect and map OH masers from evolved stars and star formation regions, diffuse emission from molecular and atomic clouds, HI absorption toward background continuum sources and the structures in the gas that trace the effects of stellar winds and supernova explosions. The Magellanic Clouds will show all these processes as they appear in two other, very different environments. GASKAP will provide stunning images of the interstellar medium that will be indispensible for astronomers working at other wavelengths. Visit the GASKAP website. Understanding the Universe is impossible without understanding magnetic fields. Magnetic fields are key to the non-thermal Universe, yet it is unclear how large-scale magnetic fields are generated and maintained. POSSUM will use radio source polarization, in particular the technique of rotation measure (RM) synthesis, to perform a wide-field survey that will yield a grid of RMs over a substantial fraction of the sky. The science outcomes of POSSUM will revolutionise our understanding of the ordered components of the Milky Way’s magnetic field, test dynamo and other models of magnetic field generation in galaxies and clusters, and carry out a comprehensive census of magnetic fields as a function of redshift in galaxies, active galactic nuclei, galaxy clusters and the intergalactic medium. Visit the POSSUM website. CRAFT is a purely commensal survey for transient sources with timescales shorter than 5 seconds. Short-timescale transients are associated with the most energetic and brightest single events in the Universe. They provide Nature’s ultimate laboratory; their emission is generated by matter under extreme conditions whose properties probe physical regimes far transcending the range achievable in terrestrial experiments. Fast timescale transients open new vistas on the physics of high brightness temperature objects, extreme states of matter and the physics of strong gravitational fields. In addition, the detection of extragalactic transients affords us an entirely new and sensitive probe on the huge reservoir of baryons in the intergalactic medium. For more information visit http://astronomy.curtin.edu.au/research/craft/ . DINGO will study the evolution of neutral hydrogen (HI) from the current epoch to redshift about 0.5, providing a legacy dataset spanning cosmologically representative volumes. Measurements will be made of key cosmological distributions, including ?HI, the HI mass function and the halo occupation distribution function. ASKAP data will be combined with optical data to enable a thorough study of the co-evolution of the stellar, baryonic and dark matter content of galaxies. Visit the DINGO website. ASKAP, in combination with the existing Australian Long Baseline Array, high speed data recording equipment, innovative software correlation facilities and high speed data transport networks, provides a high resolution capability that is unmatched in terms of SKA demonstrators around the world. Science outcomes include proper motion and parallax of pulsars, high resolution imaging of Active Galactic Nuclei, follow-up of transient radio sources and distances and proper motions of OH masers. COAST will undertake an observational program of pulsar timing aimed at high profile issues in astrophysics. This includes limits on, or the detection of, a background of gravitational waves, stringent tests of the predictions of General Relativity and other theories of strong gravity and the studies of binary stellar evolution. In addition to pulsar timing, blind searches for pulsars will also be carried out which will lead to a better understanding of the Galactic neutron star population, the pulsar emission mechanism and the structure and magnetic field of the Galaxy. "WALLABY Survey Science Team - ASKAP commissioning odyssey"
The past 17 months of working with ASKAP has been quite the journey! Starting with a simple email on the night of 11 August 2016. It was from Robin Wark, one of the technical operators of ASKAP, stating that the ASKAP Design Enhancement (ADE) array was ready for testing and that the NGC 7232 group, a nearby system of neighbouring gas-rich galaxies, would be a good pilot field. I was thrilled and quickly replied to verify the observing details that had been submitted a few weeks prior on behalf of WALLABY, the Wide-field ASKAP L-Band Legacy All-sky Blind survey (Principal Investigators: Baerbel Koribalski & Lister Staveley-Smith). Two hours later Aidan Hotan, ASKAP Project Scientist, focused 12 ASKAP antennas, all newly-equipped with MkII phased array feeds (PAFs), on the radio emission from a group of galaxies located about 20 Mpc (70 million light years) away. 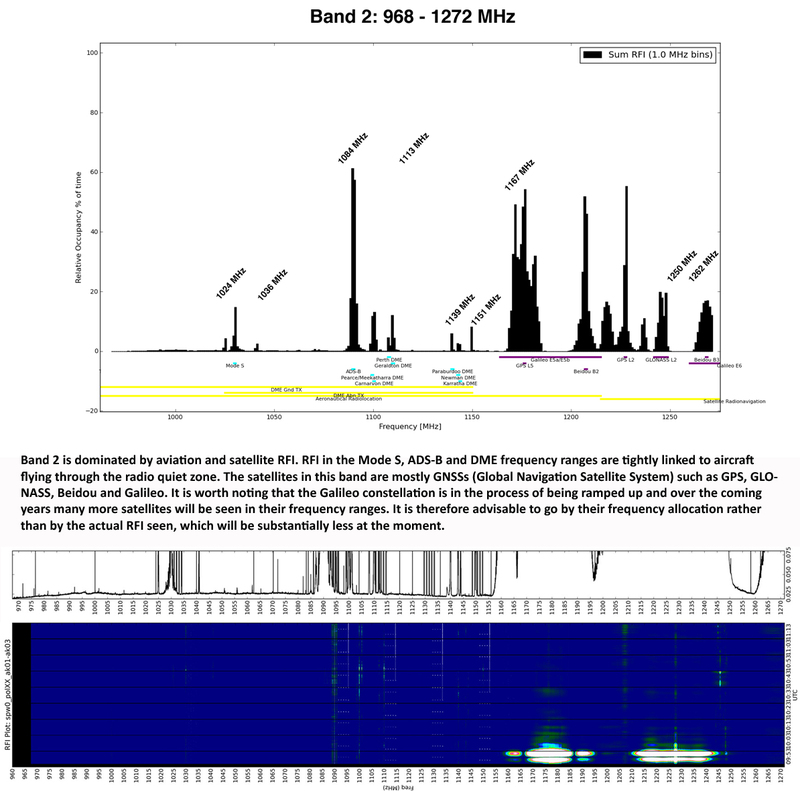 That night the ingest buffers were hovering at 50% full, there were periodic patches of bad performance and a power supply tripped for one of the antennas but eventually ASKAP completed a 12-hr observation run with 36 beams and a modest 48 MHz of bandwidth (with 18.5 kHz channel resolution). Commissioning observations, led by the ASKAP Commissioning and Early Science (ACES) team, continued for the next few weeks and usable science data was trickling in. 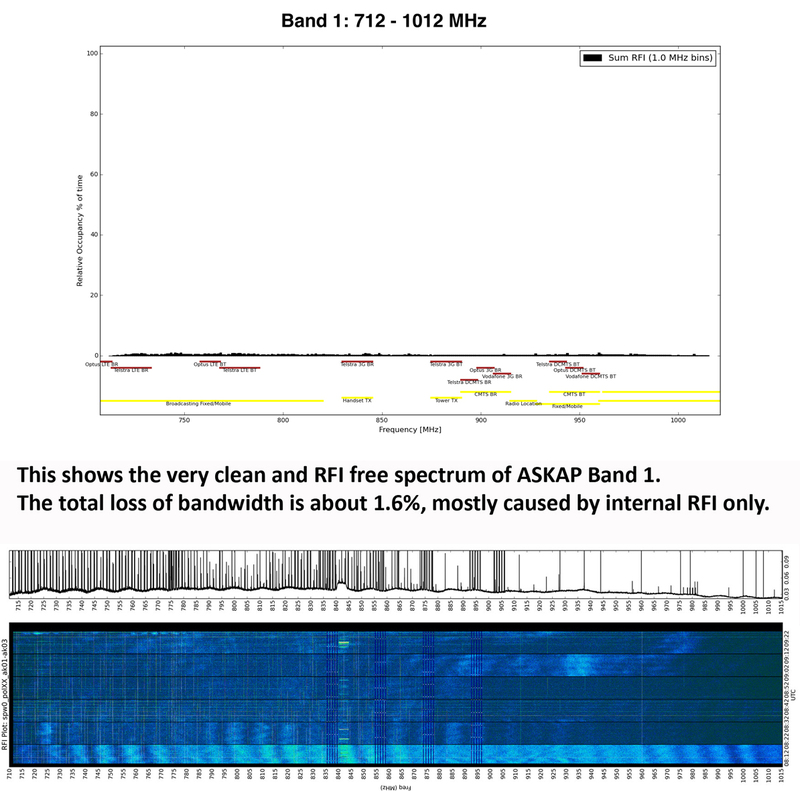 The ASKAP spectral line data processing working group was ramping up its effort and helping to identify issues with both the array and ASKAPsoft - the in-house developed data processing tool. Scientists, engineers and software designers worked together to solve problems and each iteration was a step towards ASKAP becoming more stable. On 7 October 2016, ASKAP-12 officially started its Early Science program with further observations on the NGC 7232 group. 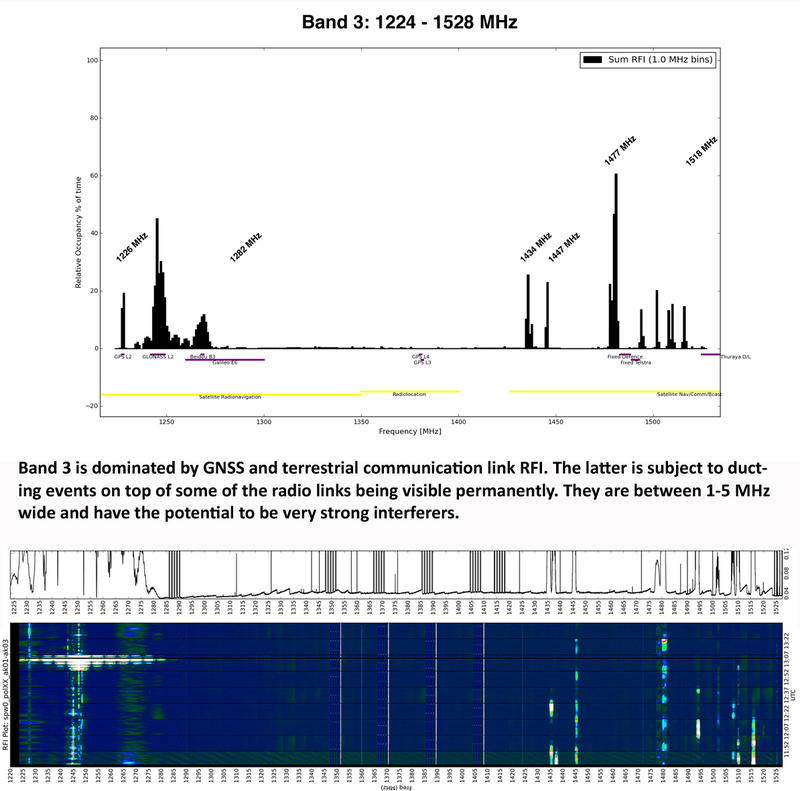 Radio emission data, that would inundate any personal computer with its sheer volume, started to pour in. Using the Pawsey Supercomputing system, astronomers diligently continued their efforts to process and image the data with various ‘old tricks’ as well as new tools that were made available through ASKAPsoft. Things were going well and by Christmas holidays, ASKAP-12 was able to observe 24-hrs a day with minimal human intervention. In late August 2017, ASKAP was back online and once again ready to correlate radio signals! The Early Science program resumed and several Survey Science Teams were conducting observations. We now have 16 antennas (which halves the required time on source when compared to ASKAP-12) working together to each receive data from 36 beams over 240 MHz of instantaneous bandwidth. Sitting at my desk on a sunny afternoon in January 2018, I used the ASKAP Observation Management Portal to watch the final telescope scans of the Dorado group – another nearby system of galaxies – which signified the completion of WALLABY Early Science observations. 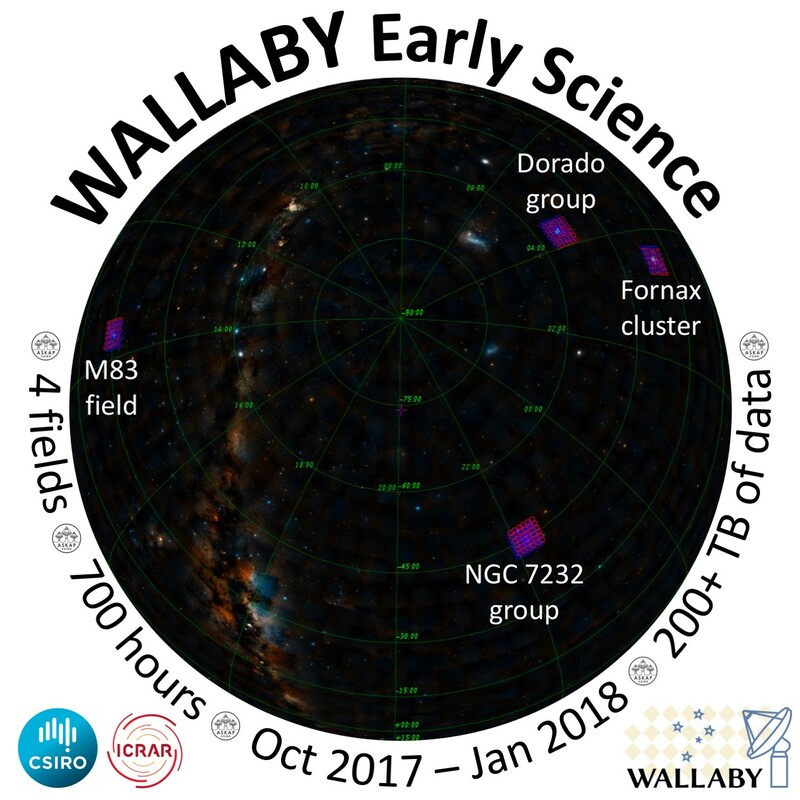 Overall, WALLABY has collected just over 700 hrs of commissioning and Early Science observations on four different science fields: the NGC 7232 and Dorado groups, Fornax cluster, and field around the M83 spiral galaxy. The 220 TB of raw data will produce high resolution neutral hydrogen image cubes with full WALLABY sensitivity (i.e. have an RMS noise of 1.6 mJy/beam per 4 km/s channel) of the four fields. These cubes will provide detailed maps of the hydrogen gas content of the nearby systems and enable the discovery of new galaxies. 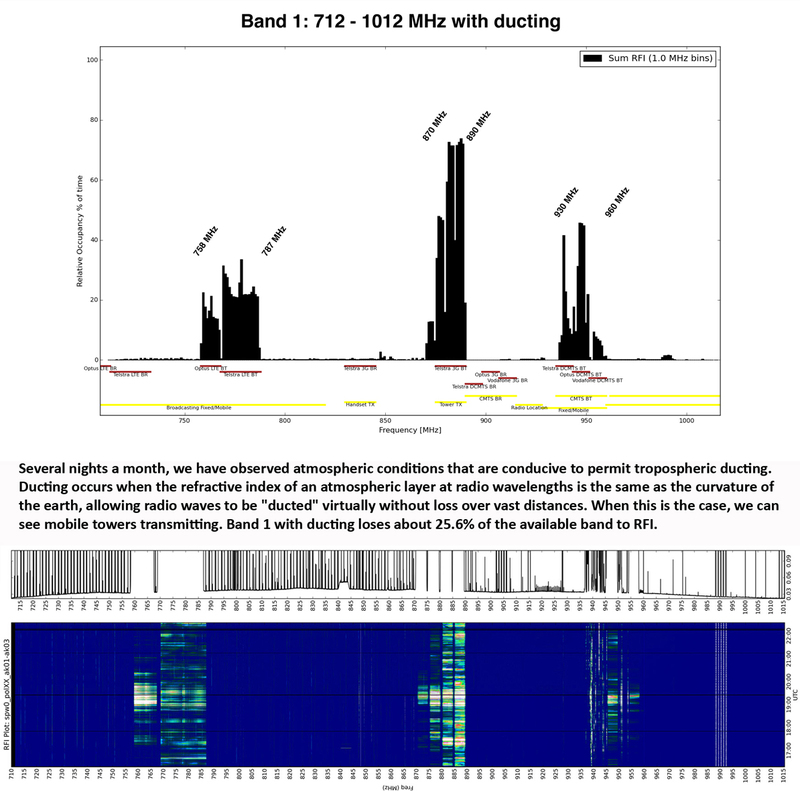 The next step for us will be verifying the ASKAP data products and analysing them for scientific purposes. The next step for ASKAP will be incorporating all 36 PAFs (the last one was installed on 17 November 2017) and other newly implemented features to transform itself into a high-speed, high resolution survey instrument that will truly help us discover and understand the Universe. The construction of ASKAP is nearing completion with 24 antennas having been handed over for commissioning and integration into the array. The remaining antennas await installation of their digital processing systems, scheduled to occur later this year. Delivery of ASKAP's capabilities to the astronomical community will happen in staged "array releases" of increasing scope. The next major milestone will be array release 3, which consists of 18 antennas, 288 MHz of bandwidth and for the first time, the ability to exchange bandwidth for frequency resolution (known as "zoom modes" within the community). Array release 3 will also offer the longest baselines (and therefore highest image resolution) to astronomers for the first time. Zoom modes will enable studies of neutral Hydrogen and other spectral lines within the Milky Way, providing a more detailed picture of gas dynamics and stellar feedback. Array release 4 is the full ASKAP system with 36 antennas and this is currently scheduled for release on a shared-risk basis in early 2019. One of the major challenges faced by ASKAP is the desire to begin survey operations early in the life cycle of the telescope. Most radio telescopes spend the first few years of operation conducting smaller-scale projects while the system reaches the level of maturity required to conduct large-scale all-sky surveys (which represent a major investment in time). ASKAP will be expected to perform large-scale surveys very early in its operational lifespan, requiring particular attention to detail during commissioning. To gain experience with survey operations, we intend to conduct a series of "pilot surveys", which will be designed to investigate specific targets that provide a good test of the telescope's characteristics (sensitivity, dynamic range, calibration stability, etc.). At a recent meeting of ASKAP's science team principal investigators we described the planned array release schedule including readiness to take 36-antenna survey data in some form in early 2019. There was also discussion of plans to review the original survey proposals. Given the time that has passed since the original call for proposals there was consensus that a reassessment of the survey scientific goals and technical feasibility is required at some point in the near future, though the timing of this process is still under consideration. The latest version of the ASKAP Early Science Program (September 2015) incorporates the early science software pipeline, a new baseline description of the program, FAQs and an estimate of likely observing time available for early science observations. The first ASKAP Early Science Workshop was held in 2013. Presentations covering a broad range of scientific interests described some of the ground-breaking scientific questions that could be addressed using ASKAP’s 12-antenna array. Workshops have been held on a regular basis (see 2014 recap and 2015 outcomes) and the ASKAP Early Science Forum is held monthly. To get involved in ASKAP Early Science, please contact the ASKAP Project Scientist. An automatically generated list of science papers that include reference to ASKAP and its science. A list of CSIRO publications collated based on reference to data taken with ATNF facilities (including ASKAP) or by CASS staff members. The following RFI analysis plots comprise several month's worth of observing time with the Boolardy Engineering Test Array (BETA), capturing permanent as well as intermittent RFI sources as they were affecting the bands. 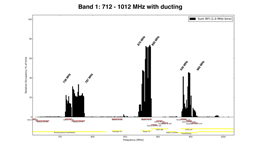 The data were binned to 1 MHz width for the summary plots. The frequencies where the main interferers start or stop causing astronomical signal degradation have been annotated on the plots. Click on the thumbnails for charts and waterfall plots. 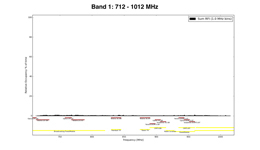 Band 1: 712-1012 MHz with ducting. 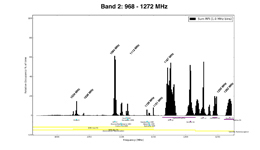 The yellow bands at the bottom of the summary plots show the spectrum allocation of the given frequencies, whereas blue (satellite), brown (terrestrial) or cyan (aviation) lines show actual known emitters from mobile communication, fixed communication links, aviation sources as well as satellite sources. The waterfall plots are shorter excerpts usually a few hours long (time is in the Y axis) highlighting the temporal function of some of the RFI. It is interesting to see that e.g. satellites may be absent for some period and then suddenly dominate the signal very strongly. They are moving targets that are at some point moving through the beam of the telescope. When that happens, they are completely wiping out any astronomical signal. The waterfall plots show the correlated signal between antennas ak01 and ak03, a rather short baseline of 37m length. Contact the ASKAP Project Scientist for further information. ASKAP Commissioning Update: A newsletter for the astronomy community.